So how do you understand and treat someone in pain? For about the last 10 years I have tried to really dive deep to understand many of the complexities of pain. The first and obvious mindset shift I had to make was understanding that pain and injury are not the same thing. Injury is an input and pain is an output, which we’ve discussed before. While this seems fairly straightforward I still think deep understanding of this concept can be a sticking point for some and a challenge when we get to: “how do I treat someone in pain?”. I recently had a request from a few students from our recently graduated Class of 2016 cohort on getting more information to study pain. While these students were able to receive some information from me during their time at the University, there is so much more. They have passed the NPTE and are fully licensed, but now is the time for lifelong learning to really set in. No more just answering questions to pass a test at the University or the NPTE, this is real people needing answers to hard questions about pain. So here is my list of readings that have helped me try to understand pain just a little bit more. I came up with some categories depending on what someone might be interested in. This list is by far not comprehensive since I tried to narrow down to just by top three in each category and only contains books, there are lots of great research articles that can be helpful as well. #1 for me has to be Aches and Pains by Louis Gifford. Louis was a (if not the) pioneer when it comes to pain neuroscience and physical therapy. This 3 book set is an amazing piece that allows you into the visionary mind of Louis Gifford, almost as if you are sitting down at the local pub and Louis is just enlightening you to what he has learned and understood through his clinical years in regards to understanding pain from a neuroscience perspective and then applying that clinically. #2 would be Therapeutic Neuroscience Education, Teaching Patients about Pain by Adriaan Louw and Louie Puentedura. Yes, I’m a bit bias here but I have to be because of the significant influence these two have had on me. The opportunity to learn from and with Adriaan and Louie (along with the rest of the ISPI team) has been instrumental in my journey to understand and treat patients in pain over the years. This book helps walk through the neuroscience behind pain and then how to clinically apply that information with pain neuroscience education clinically for patients. There are the other shorter books, like Why Do I Hurt, that Adriaan and our team have put together that are helpful but the textbook is the most comprehensive source. #3 is Explain Pain by David Butler and Lorimer Mosely. It could be easily argued that this should be number 1 on the list as it was the first book in this area to come out. Now in its second edition, this is a must for anyone wanting to understand pain and what we can do about as physical therapists. Honorable mentions are Painful Yarns, by Moseley is an enjoyable list of stories that Lorimer shares to help explain some of the basic complexities of pain. The Sensitive Nervous System, by Butler is also a great reference especially as it relates to the peripheral nervous system and neurodynamics. My top three other books to help understand pain from a broader neuroscience perspective I would suggest would be: The Challenge of Pain by Ronald Melzack and Patrick Wall, considering the original Textbook of Pain was edited by these two legends and now in its 6th edition contains their name, there is no doubt about the credentials to write a book like this. I would also suggest Pain: The Science of Suffering by Dr. Wall as another good read. Understanding Pain: Exploring the perception of pain by Fernando Cervero would be number 3 in this category. To understand pain, we have to understand the brain a bit more. This list could get very extensive and hard to have just three, but I’ll go with these: The Brain That Changes Itself by Norman Doidge was my first read when it came to understanding the brain a bit more so I’m going with it as my number 1. The next would be Phantoms in the Brain by V.S. Ramachandran and Sandra Blakeslee. Ramachandran’s book The Tell-Tale Brain is an honorable mention and thought I would only go with one Ramachandran book in my top three. Number three then will be Incognito: The secret lives of the brain by David Eagleman. Many honorable mentions can be listed: Thinking Fast and Slow, by Daniel Kahneman goes over the different ways our brain processes information. Self Comes to Mind, by Antonio Damasio and Out of Our Heads, by Alva Noe looking into what makes up consciousness. The Body has a Mind of Its Own, by Sandra Blakeslee and Matthew Blakeslee looking into how our brain maps our body and our body maps our brain. Sleights of Mind: What the neuroscience of magic reveals about our everyday deceptions by Stephen Macknik and Susana Martinez-Conde looking into predictive processing and how we can be deceived by our brains. To fully understand pain, the biology of the body and brain are important but the psychology and sociology are needed as well to complete a biopsychosocial approach to pain. In this category I’m going with, The Patient’s Brain: The neuroscience behind the doctor-patient relationship by Fabrizio Benedetti. This book explores the placebo effects and what is happening when we interact with our patients. Mindset by Carol Dweck and The Social Animal (link is to TedTalk) by David Brooks will close out my top three. 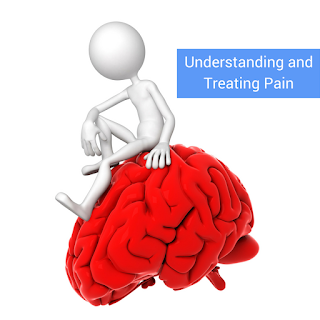 To understand pain, we have to understand the person not just the science. These two books have been influential for me to understand the patient’s pain experience in a bigger picture. Number one is, Shallow Dive by Barrett Dorko looks into the care and compassion of delivering physical therapy. Being Mortal by Atul Gawande is number two. My number three is going to be Cutting for Stone by Abraham Verghese (full disclosure I have not read this book, it just arrived at my house and comes at the recommendation from Tim Flynn). Lifelong learning requires a bit of work, but obviously our patients are grateful when we do continue to pursue understanding. What say you? What other categories should we add in? What other books need to be included?